Red Dead Redemption 2 PC release date – when will Rockstar’s Western epic come to PC? When is the Red Dead Redemption PC release date? Will Red Dead Redemption 2 be coming to PC at all. As the console release of Rockstar’s epic Western sequel has come and gone, it’s easy for us PC players to start getting anxious, and with good reason. Red Dead Redemption 2 enjoys a very strong 97 on Metacritic. This was almost inevitable given the quality of it hog-tyin’, Dead Eye-shootin’ predecessor. The original Red Dead was, as you may well know, a game from 2010 that became one of the crowning achievements of that console generation. Yup, that’s right, consoles: Rockstar decided not to grace the PC with their incredible Wild West open-world drama, filled with betrayals, standoffs, and fancy hats. The console launch of the new Red Dead might already have arrived, but we’re a positive bunch of wannabe cowboys and girls. We think that Arthur Morgan’s sprawling – and very favourably reviewed – adventure will come to PC, eventually, with little evidence besides our boundless open-world optimism. Anyway, here’s everything you need to know about a potential Red Dead Redemption 2 PC release date. Unlike the console equivalent, there is no RDR2 PC release date. It isn’t guaranteed we’ll ever get one, either: we know that the original Red Dead Redemption has so far never made it to our home platform, so we sincerely hope the sequel doesn’t follow suit. However, If we accept that the game will release on PC eventually, then it is possible that Rockstar will follow the same release pattern they used for Grand Theft Auto 5, which launched a year and a half after its console debut on PS3 and Xbox 360. 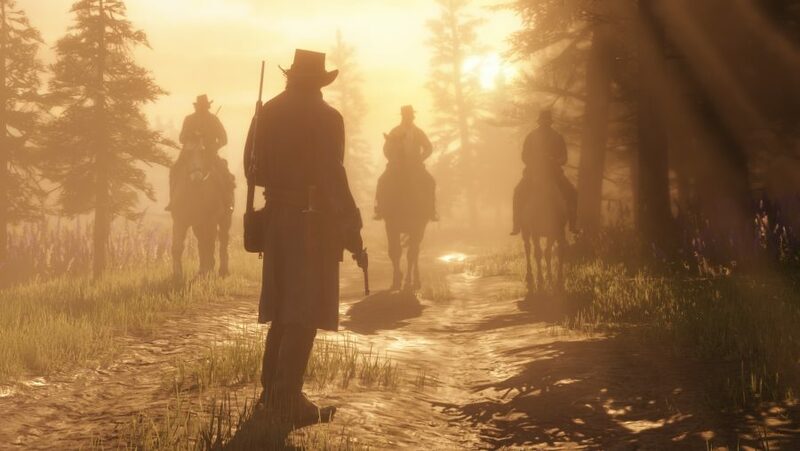 This means that a Red Dead Redemption 2 PC release date of April 2020 could be a sensible bet, which is only slightly better than never. will red dead redemption 2 come to pc? In terms of official information it’s been radio silence when it comes to a PC version of Red Dead Redemption 2. It has neither been ruled out, nor confirmed. We’ve contacted Rockstar in the past for confirmation, but all our efforts have been to no avail. Regardless, Take-Two Interactive – Rockstar’s parent publisher – has at least recognised the importance of the PC as a platform. In an August 2017 earnings call (as reported by Gamespot) Take-Two president Karl Slatoff noted that PC gaming is “very important, very exciting.” He also recognised that “the PC market is vibrant for us. It’s a great market. It’s a big market. It’s a core market.” That said, we were still not told if a RDR2 PC version would ever happen. More recently PC players got quite the scare following a mistranslation on a multiplayer.it stream. A Rockstar rep was asked on the Italian’s site’s stream whether a PC version would be incoming, their reply was wrongly translated by Red Dead Network to suggest that RDR2 would “absolutely not” come to PC. What the Rockstar bod actually said was “the game is for PS4 and Xbox. Phew. However, we might finally have confirmation of a PC version courtesy of the Red Dead Redemption 2 companion app. As originally detailed by RockstarIntel, the software appears to contain references to a PC version of the new Red Dead. Some of the parameters of the app refer to different graphics settings, frame rates, and Oculus integration, which seems a little fishy to us. That’s everything we know about a Red Dead Redemption 2 PC release date, and it seems like we’ve still got a while to wait. In the meantime, why not fulfill your Manifest Destiny with the games like Red Dead Redemption we recommend. Equally, these are the best Western games you can commit to your hard-drive, if you’re still in need of some rootin, tootin- cowboy goodness. Despite hugely successful Red Dead Redemption 2 sales – achieving the biggest opening weekend in the history of entertainment, no less – a November 7 Take-Two earnings call revealed that Rockstar are still resistant to releasing a Red Dead launch on PC. After an investor took the opportunity to press CEO Strauss Zelnick on the subject, Zelnick stressed that it’s up to Rockstar to discuss their intentions in terms of a Red Dead Redemption 2 PC release date. He said “in this particular instance, I can’t give you too much clarity, apologies.” For PC-based cowboys, the wait continues.